austindogandcat.com: And we think Austin is soo Liberal? Houston elects openly lesbian mayor over weekend What you may not know? She's also a big time animal lover! And we think Austin is soo Liberal? 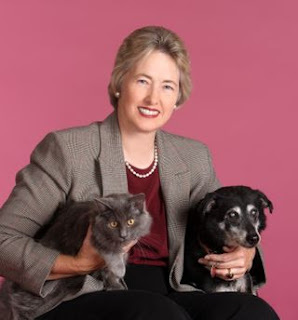 Houston elects openly lesbian mayor over weekend What you may not know? She's also a big time animal lover! She goes for women not men but she's AC/DC when it comes to dogs and cats. She loves them both. Photo by Evin Thayer Photography,producer of the Houston Astros Pet Calendar which benefits the Houston Humane Society.